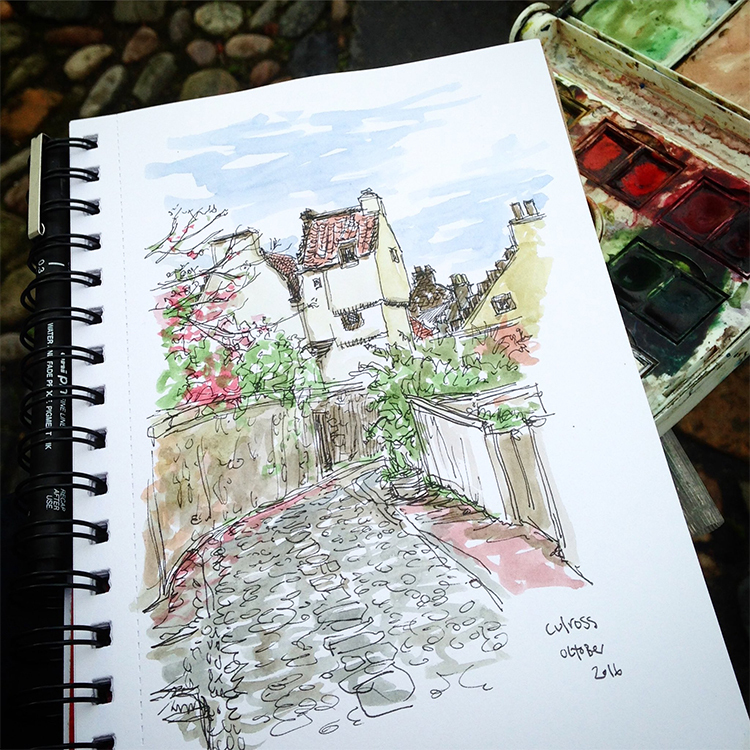 Recently I ran a sketching tour around the stunningly beautiful village of Culross in Fife. 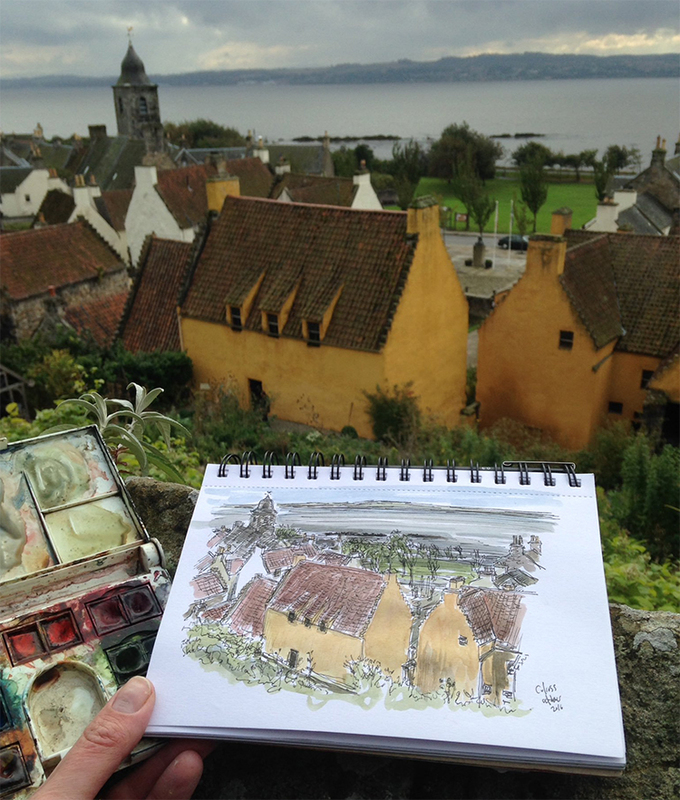 As one of my last sketch tours of the late summer I had been asked to run a sketching and walking tour of Culross by the National Trust for Scotland. 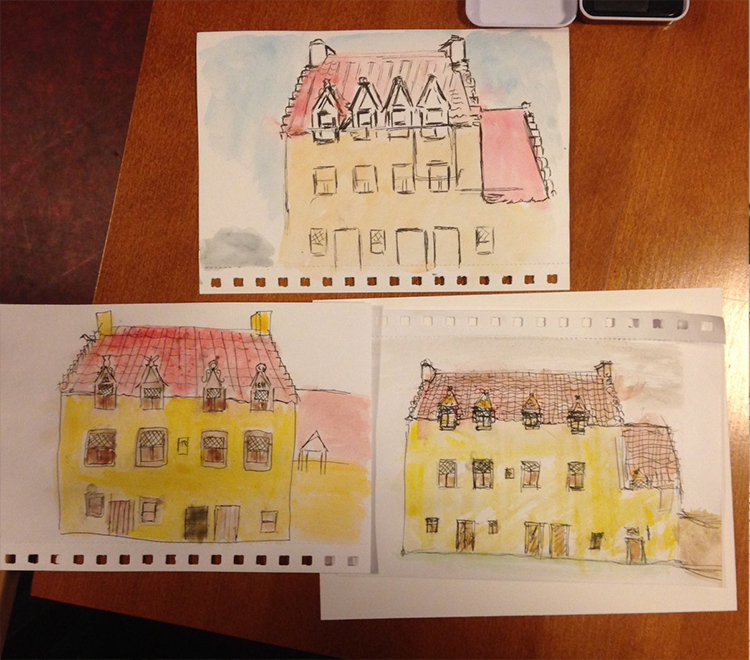 We investigated the burgh’s architectural history through observation and drawing, the accompanying sketchers improving their artistic skills as we discovered some of the hidden architectural gems in this beautiful village which looks unchanged since the 17th century. The village was a revelation to me, as I hadn’t been before and was blown away by the beauty of its cobbled streets, gable ended buildings and steep winding paths. If you havent been then you should, it is like being on a film set, and Culross has been used for many different locations in the Outlander TV series in season one and two. Here are some of our sketches from the day. I can’t wait to return in 2017, hopefully to run another sketch tour. 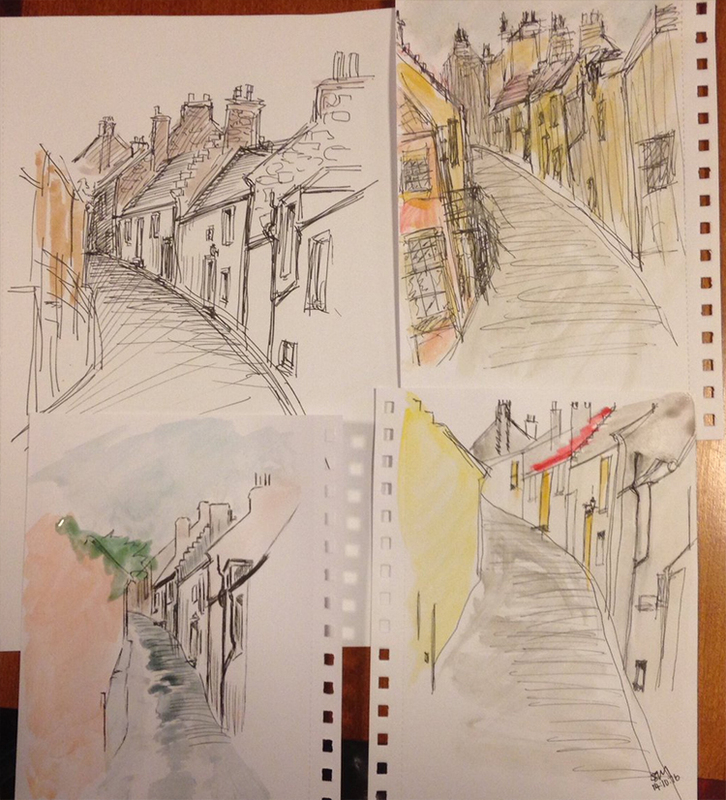 Let me know if you would be interested in attending such a sketch tour of the village. Culross on the National Trust For Scotland website.